The American International Church on Tottenham Court Road. 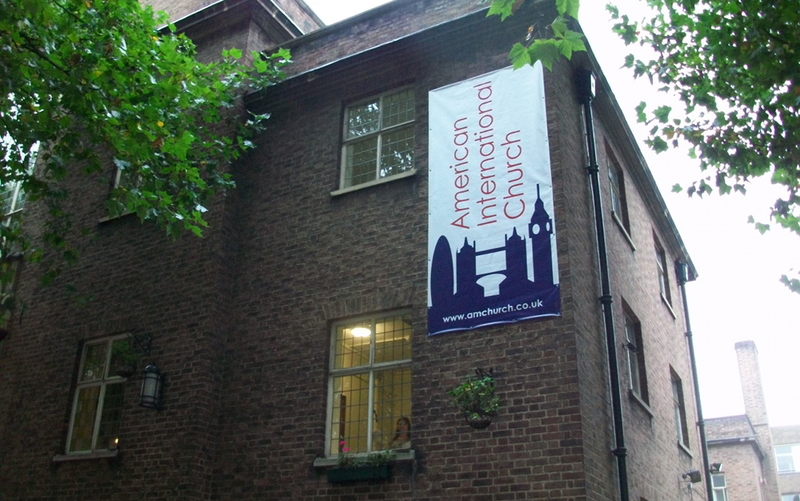 By News Reporters The American Church in London has been re-named the American International Church to better reflect "the diversity within the congregation and community surrounding its Tottenham Court Road location". The church was established 50 years ago to serve Americans living in London. The American International Church celebrated its new name in a dedication service on Sunday, 29 September. According to the 2011 census there are 230,492 Americans (North America & Caribbean by country of birth) living in London. The American International Church has programmes in music, children’s ministry, youth work and overseas mission efforts. In addition, the church provides services to the poor in Central London, housing a Soup Kitchen, which offers meals to men and women in need, and participates in the Camden Cold Weather Shelter during the winter months. The Soup Kitchen was founded in 1986.